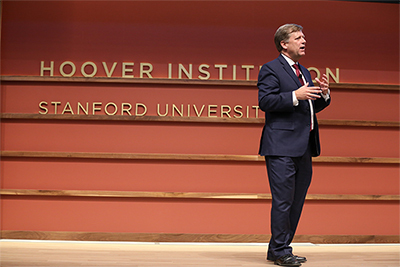 In a statement released today, the Hoover Institution announces its support of professor Mike McFaul, who the Russian government is seeking to interview. McFaul is a senior fellow at the Hoover Institution. In an essay in National Review, Hoover senior fellow Victor Davis Hanson describes Putin’s strategy as a “false equivalency” of comparing McFaul to the indicted Russians and an “absurd” request. On Thursday, the White House announced it would not honor the Russian request.